Singapore is a very hot and humid country and getting an air conditioning system at your home is essential. But when you are choosing an aircon service, you must ensure that it is best. Only experienced professionals with right expertise can handle the air conditioning systems efficiently. You must not hire anyone without proper license and work permit for this job. Thus, you can choose @bsolute Aircon Pte Ltd for your aircon services. It is a one-stop service center that provides all the essential services include repairing, chemical wash, top-up gas and general servicing. With years of experiences in this field, they can offer best workmanship. Whether you want general servicing or repairing, you can count on them completely. With experience, they have gained several professional skills and knowledge. Thus, they can tackle each and every situation smoothly. Since air conditioner is a valuable and expensive appliance, you cannot take the risk of choosing an inexperienced company at all. Since servicing is important to ensure that the system lasts for a long time, you must choose an experienced company like @bsolute. It is better to choose the @absolute air conditioner servicing team because they have the best in the market. Their professional team consists of best and highly skilled technicians. They can easily identify the problem in your aircon and repair it. Also, they are well trained for perfect and thorough servicing of the air conditioners. Whether it is the split AC, window AC or any other type of air conditioners, their team is well-trained to handle everything. Without a professional and trained team, it is not possible to get the job done. Since air conditioner is a heavy electronic appliance with complicated functioning, experts can only handle it properly. Whether your air conditioner is having some common problems or complicated ones, they can solve everything. Starting from cold air problem to leaking of water, they can repair and service everything. Your air conditioning system requires proper maintenance like gas top-up, chemical wash and general aircon servicing. All these maintenance work requires efficiency, proper training and great experience. @bsolute service can provide you with all these maintenance and servicing efficiently. Proper maintenance is essential to ensure that the system runs perfectly without any breakdown or disrupt. If you do not know, Singapore government is very strict about work permits and licenses. It is serious offense if you hire someone without proper license and valid work permit. You can end up behind the bars too. You must hire them as they are not only licensed but also have a valid work permit. Even it is an insured company which can provide you with compensation for any damages caused. They are working in this industry for several years and exactly know the laws and regulations of the country too. Whether you want an efficient servicing company for your residential needs or commercial need, this aircon servicing company can provide you with perfect solutions for all your needs. Chemical wash is one of the best forms of air conditioning system maintenance. It deals with strange odors coming out of aircon and cleaning bacteria and dirt buildup inside. Not everyone is well-trained and experienced to perform a thorough chemical wash. If done wrongly it can harm your air conditioning system as well. Since it is an important part of maintenance as it prevents bacteria and virus growth, you must consult with the professional aircon services. The @bsolute Aircon service can perform this brilliantly and seamlessly. During the air conditioning servicing and maintenance service, it is important to do a thorough evaluation. 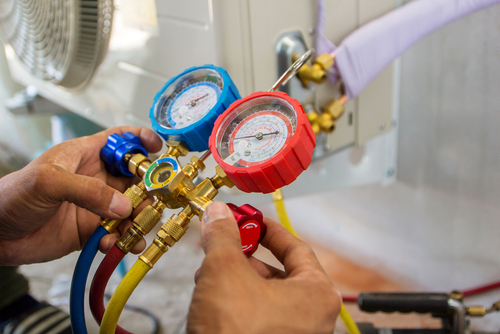 Their professionals not only perform a thorough evaluation of the air conditioning system by proper examination, but they also troubleshoot if there is any problem. This can help your air conditioning system to run properly all the time. You may not notice but there can be many internal problems which can later cause a major problem. With the help of their expertise, they can troubleshoot and fix the problem efficiently. 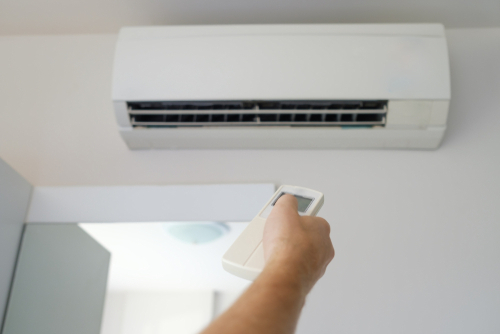 If your air conditioning system is not working, then it can be a major issue. You must hire someone who is experienced, efficient and trustworthy to repair your air conditioning system. @bsolute Aircon service can provide one-stop solution for all the repairing needs of your air conditioner. They can easily identify the problems in the system looking at the symptoms. Once they identify the problem, they will carry further examination to check if there are any other problems or not. Once they identify the problems, they can easily repair it with their expertise and efficiency. Another most important reason for which you must call them for your air conditioner problems and servicing is your peace of mind. They are one of the most reliable and trustworthy services in Singapore. You can trust them completely and be at your own peace of mind while they get your air conditioner serviced or repaired. 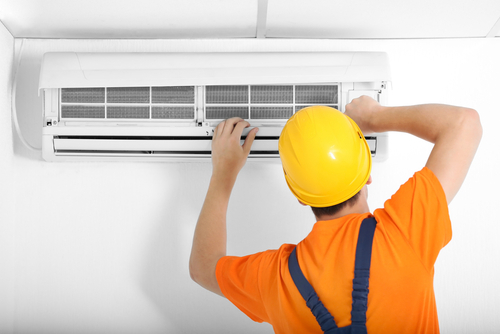 They ensure that everything is done smoothly and seamlessly so that your air conditioner can work efficiently again. You can simply relax and let the technicians work while you can do your work peacefully. So, these are the 8 main reasons why you must choose @bsolute Aircon service for servicing, repairing and maintenance of your air conditioning system. So, be it for your commercial aircon system or residential aircon system, call them! They are 5 star rated service professionals with great reputation and credibility all over Singapore. Being in this business for several years now, they know what clients want and how to perform their job. They are brilliant in everything they do and you can just sit back while they perform their duty. Besides repairing, you can also call them for routine maintenance and servicing every month to ensure that your air conditioning system at home or office is running smoothly and perfectly.